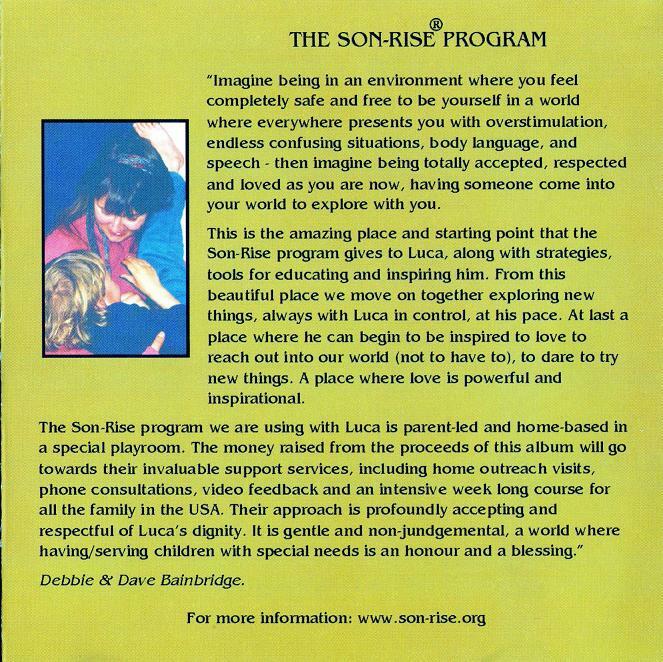 In 2003, Dave and Debbie Bainbridge of band Iona were looking for an idea to raise some money to help their autistic son ‘Luca’ be part of the Son-Rise program in America. The idea was born to put together an album and they asked all of their musician friends for some assistance in this project. The result was huge generosity as the artists donated tracks to the album and this album ended up being a double CD! Two of the tracks on the album were donated by Nick Beggs and they were written especially for it, there were ‘For Luca’ and ‘Forever in My Heart’. We have decided not to upload and share these two tracks due to the charity aspect of the album, it would be a disrespectful thing to do. The CD is available online from various outlets. 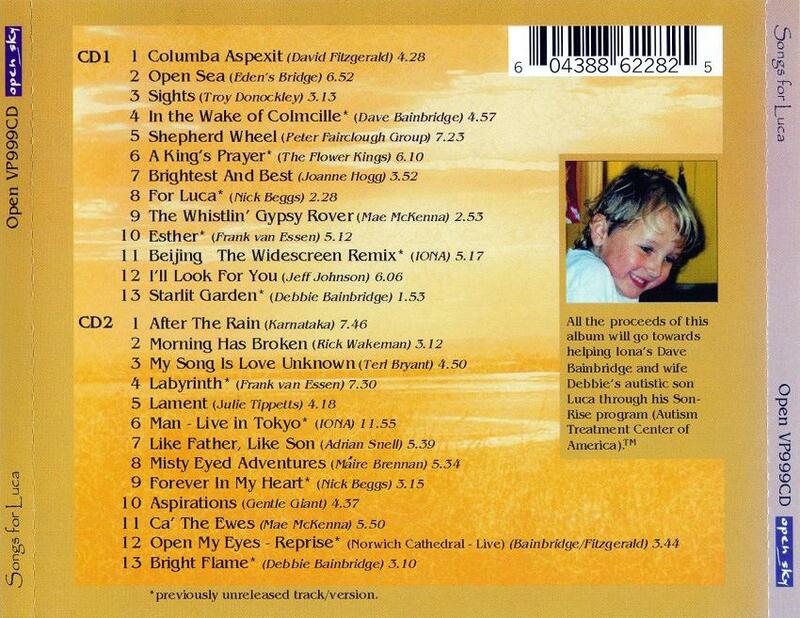 Search for ‘Songs for Luca CD’ and you will find a few very easily, your choice which to use. The two tracks from Nick are both superb and take on a deeper meaning when you think of why they were written and recorded. It’s a special album and although it features many artists, it’s a great part of Nick’s back catalogue work. If Nick did happen to see this post and contacted us to say it would be fine to upload the tracks, we would happily do that on his approval. 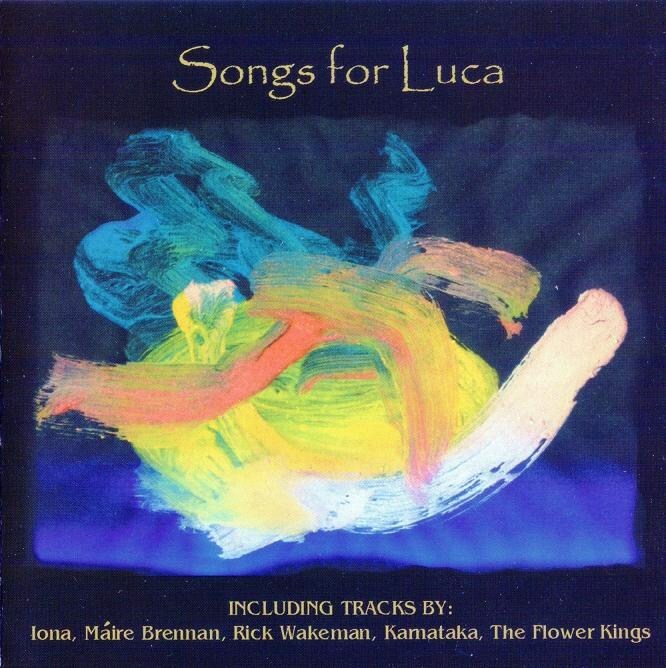 They also did a follow-up, “Songs For Luca 2” which is also excellent and you can buy both albums on Amazon and on Íona’s on-line store (iTunes has the first album too).